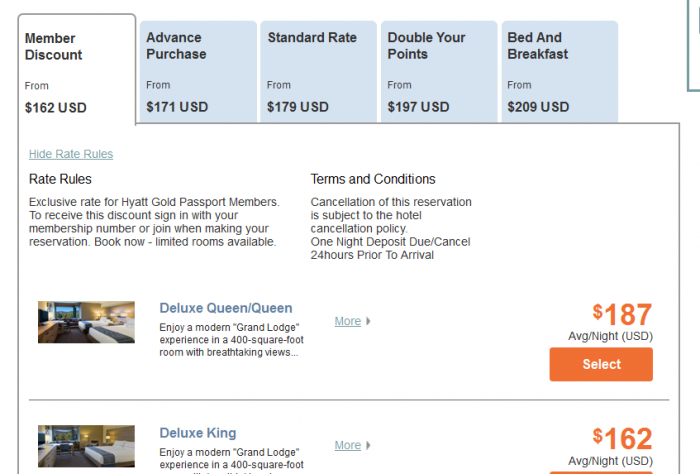 Hyatt Gold Passport has now introduced (or maybe reintroduced in some cases) up to 10% member discount. This up to 10% discount is available for stays at select hotels (not all are participating) in the United States, Canada, Caribbean & Australia. Note that the web page populates MYRATE “Special Offer Code” but appears that it is not required to bring up the discounted rates. These member discounts seems to be the latest craze with hotel chains when they try to battle the OTAs (where they dump their excess inventory). I would assume that in the longer term this just means that the “headline” price gets more inflated and then these various discounts gets deducted from that. Member Discount is valid for Hyatt Gold Passport members for reservations at participating hotels in the United States, Canada, Caribbean and Australia. To qualify for Member Discount, guests must make their reservation via Hyatt.com or contact their nearest Global Contact Center and provide their Hyatt Gold Passport membership number at time of booking and request the Member Discount. 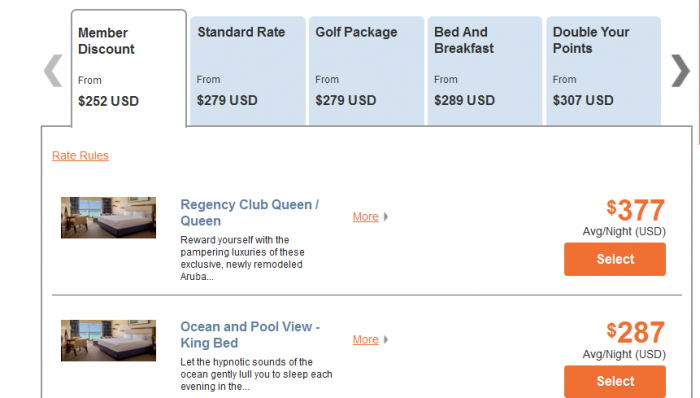 To join Hyatt Gold Passport, please visit goldpassport.com or complete enrollment at time of reservation. Member Discount is up to 10% off the Standard Rate, is non-transferrable and is valid for one guest room. Offer is not valid with groups/conventions and may not be combined with any other promotional offer(s). Rate is per room, per night based on single or double occupancy, unless otherwise stated, and does not include tax, incidental charges or any other hotel specific charges. Extra guests will be subject to additional hotel charges. Rate is subject to individual hotel cancellation and no-show policy as provided at time of reservation. Limited number of rooms allocated to this promotion. Promotional blackout periods may apply due to seasonal periods, special events, or extreme demand and normal arrival/departure restrictions apply. Hyatt reserves the right to alter or withdraw this program at any time without notice. Hyatt Hotels & Resorts™ encompasses hotels managed, franchised or leased by subsidiaries and affiliates of Hyatt Hotels Corporation. The trademarks Hyatt™, Hyatt Hotels & Resorts™, Park Hyatt™, Andaz™, Grand Hyatt™, Hyatt Centric™, Hyatt Regency™, Hyatt Place™, Hyatt House™, Hyatt Gold Passport™, and related marks are trademarks of Hyatt Corporation. ©2016 Hyatt Corporation. All rights reserved. Previous articleReader Question: What To Do When The Hotel Laundry Ruined My Clothes?